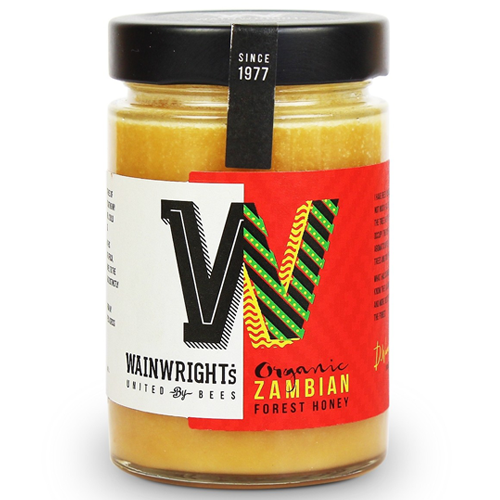 Wainwright's Organic Forest Honey is produced by rural village beekeepers hundreds of miles deep into the Zambian rainforests, far from the nearest commercial farms. Wild bees occupy traditional bark hives and forage on the many nectar producing species found in this Miombo forest. 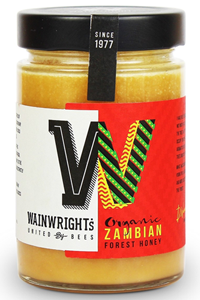 The honey they produce is richly flavoured, smokey and aromatic. It is then cold pressed so more of the natural pollen remains, producing a unique, earthy flavour.